Car accidents can be life changing for anyone. They can cause life altering health issues, emotional trauma, and a lot of medical expenses. When you are injured in a car accident, you may be entitled to money for doctor and hospital bills, medications, therapy, and other medical expenses caused by your accident. You may also be able to receive money for pain, emotional suffering, lost wages, future earnings, scarring, and the deterioration of your overall quality of life. While insurance companies may try to offer you a quick settlement immediately after a car accident, often times these settlement offers do not consider the full extent of medical treatment necessary or the pain and suffering incurred. If you were involved in a car accident, truck accident, motorcycle accident or any other type of motor vehicle collision and were seriously injured, it is important to get a consultation from the knowledgeable Fort Worth car accident attorneys at Mizani Law Firm. Mizani Law Firm is available 24/7, and our car accident attorneys will travel anywhere in Texas to offer provide you a free car accident attorney consultation. At Mizani Law Firm, our Fort Worth car accident attorneys are committed to ensuring that all our clients injured in a car accident receive the compensation they deserve. Our Fort Worth car accident attorneys have a proven record of success in handling these claims, and are prepared to go toe-to-toe with the insurance companies. Without question, a car accident in Texas can be complicated. Don’t be caught off guard. Protect your rights. Contact Mizani Law Firm. 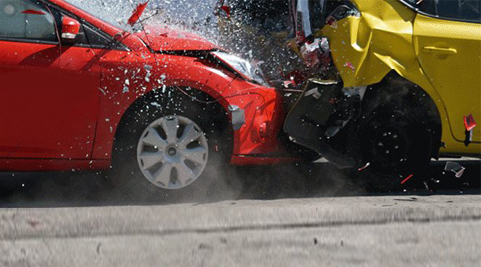 We are aggressive car accident attorneys serving Fort Worth and the Dallas area metroplex. No matter what type of car accident you’re dealing with, no matter how serious your car accident injuries, we can help. Our Fort Worth car accident attorneys have the knowledge and experience you need to get the compensation you rightfully deserve. Results matter, and getting results is what we do. Contact us now for a free car accident attorney consultation!